Geneva Brumfield, 93, of Syracuse, Ind., passed away Thursday, Feb. 28, 2013, at the Avalon Village in Ligonier, Ind. She was born Sept. 12, 1919, in Syracuse, to Lewis and Mary Frances (Davis) Rogers. After graduating high school, she moved to Indianapolis until 1945 when she returned to Syracuse. At that time, she attended business courses and worked at the old Wilt’s factory. She was a jail matron for eight years. In 1960, she became the first woman police officer in the city of Warsaw. 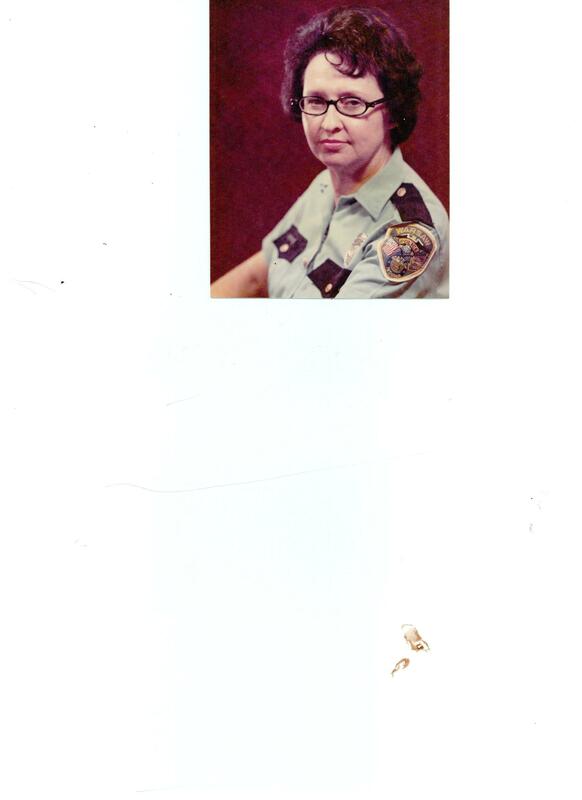 On Dec. 16, 1970, she married Gene Brumfield, who was then the chief of police in Warsaw. 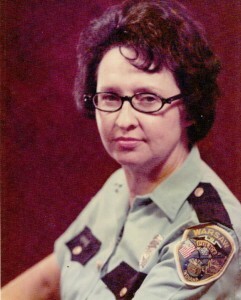 She retired from law enforcement in 1976, when she became a county clerk for the sheriff and mayor to assist them in clerical and receptionist duties until 1984. She was a member of the Warsaw Arts and Crafts Club, Republican Women’s Club, American Legion Auxiliary, Fraternal Order of Police, Veterans of Foreign Wars, Ladies of the Shrine, and purchased her share of Girl Scout cookies over the years. She is survived by her brother: Ernie (Julie) Rogers, Syracuse; a nephew: Scott L. Rogers, Syracuse; three nieces: Shelly L. (Terry Stump) Rogers, Syracuse; Darlene Peck, Cromwell, Ind. ; and Susie (Terry) McDonald, New Paris, Ind. ; three stepchildren: Dan (Dorothy) Brumfield, Port St. Lucie, Fla.; Jody (Tom) Burns, Warsaw; and Patty (Chuck) Williams, Las Vegas, Nev.; seven step-grandchildren; and nine step-great-grandchildren. She was preceded in death by her husband: Gene Brumfield; a brother: Bill Rogers; a sister-in-law: Lucy Clayton-Rogers; and a niece: Stacy Rogers-List. A memorial service was held at 1 p.m. Wednesday at the Eastlund Funeral Home, Syracuse, with Pastor Brad Cox officiating. Memorial contributions may be made to New Hope Pet Rescue.